The pope and the grand imam of al-Azhar have signed a historic declaration of fraternity, calling for peace between nations, religions and races, in front of a global audience of religious leaders from Christianity, Islam, Judaism and other faiths. Pope Francis, the leader of the world’s Catholics, and Sheikh Ahmed al-Tayeb, the head of Sunni Islam’s most prestigious seat of learning, arrived at the ceremony in Abu Dhabi hand-in-hand in a symbol of interfaith brotherhood. In other words, there was a concerted effort to make sure that all of the religions of the world were represented at this gathering. There is a lot of language about peace in this document, but it goes way beyond just advocating for peace. We, who believe in God and in the final meeting with Him and His judgment, on the basis of our religious and moral responsibility, and through this Document, call upon ourselves, upon the leaders of the world as well as the architects of international policy and world economy, to work strenuously to spread the culture of tolerance and of living together in peace; to intervene at the earliest opportunity to stop the shedding of innocent blood and bring an end to wars, conflicts, environmental decay and the moral and cultural decline that the world is presently experiencing. 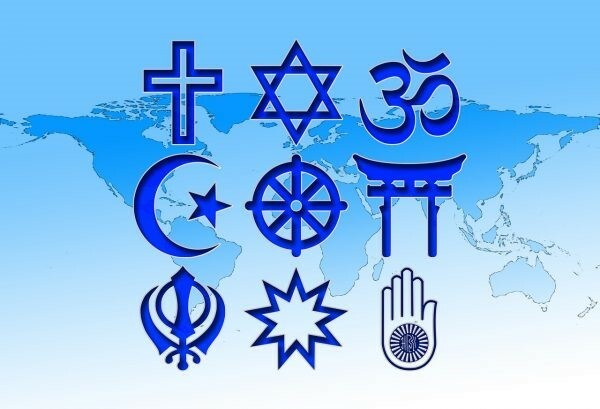 In essence, this is saying that it is the will of God that there are hundreds of different religions in the world and that they are all acceptable in His sight. We know that the elite want a one world religion, but to see the most important clerics from both Catholicism and Islam make such a dramatic public push for it is absolutely stunning.